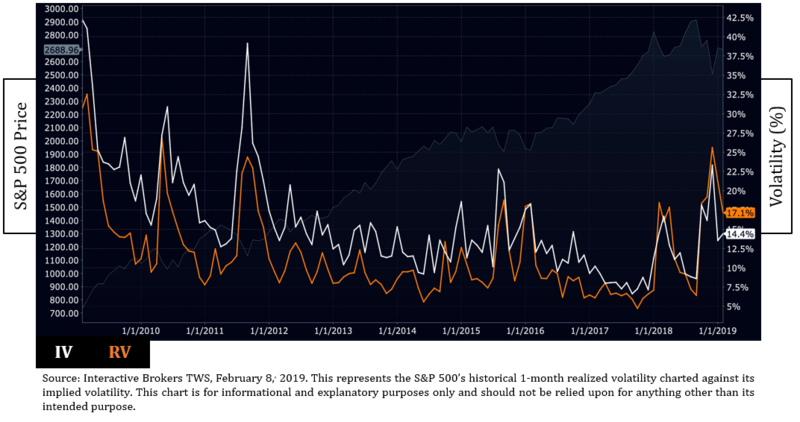 “Implied” volatility tends to trade at a premium to “Realized” because there are many more buyers of options than sellers. The Fund is typically a seller of volatility in periods of high volatility and long volatility in periods of low volatility. We adapt our strategy to best fit current market/volatility conditions and pricing.